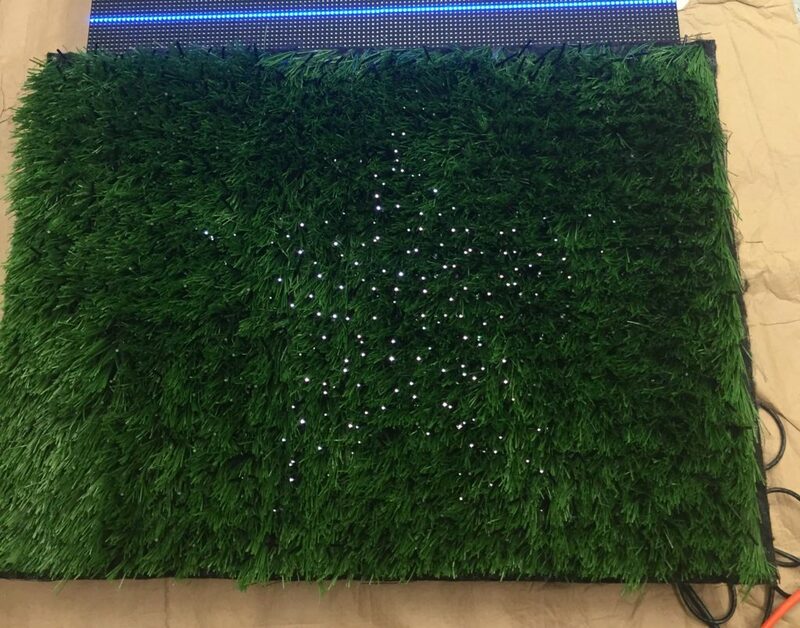 Through the use of high intensity multicolored LEDS and polyfilament fiber optics placed within the artificial turf, we can enjoy the game with a whole new look. It is like turning the field into a flat screen tv screen below the playing surface – allowing images to be projected upward through the turf this patented technology allows illumination for 10 yard marks, down marker, line of scrimmage, ball direction, stats, messaging, achievement celebrations, and advertisements. This is an early prototype of the Electrafield. When illuminated, it is capable of displaying both pictures and video.